Superb compact knife from master knifemaker Roselli of Finland. 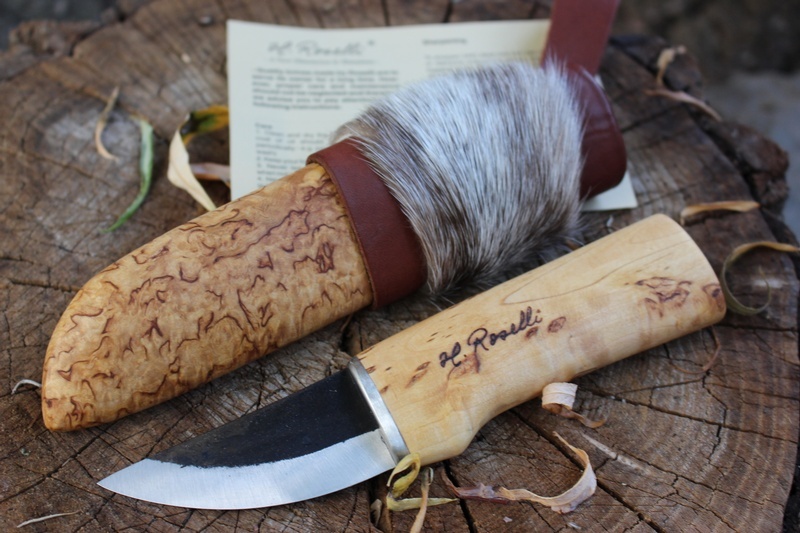 Using all the traditional skills and materials Roselli have produced this excellent compact bushcraft knife. 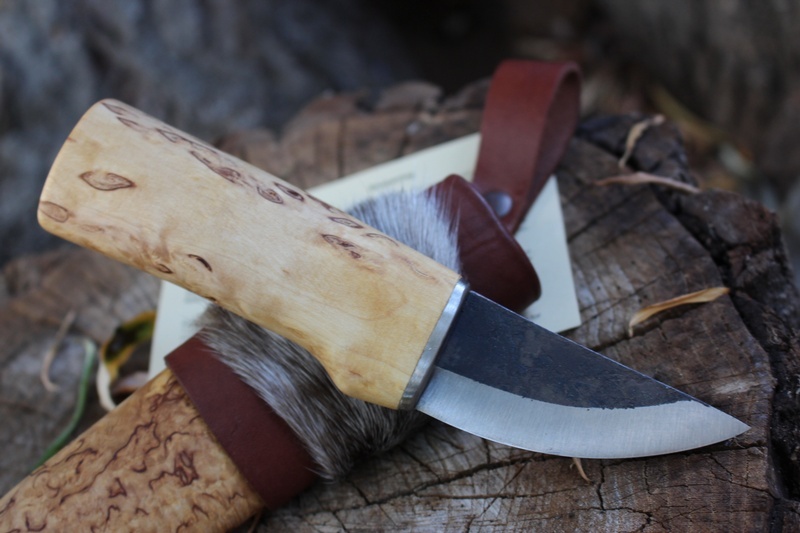 Hand forged high carbon steel, scandi ground, 59HRC with traditional stick tang and curly birch handle is a great handy and easy to use knife, ideal for the camp or as a companion in the woods. 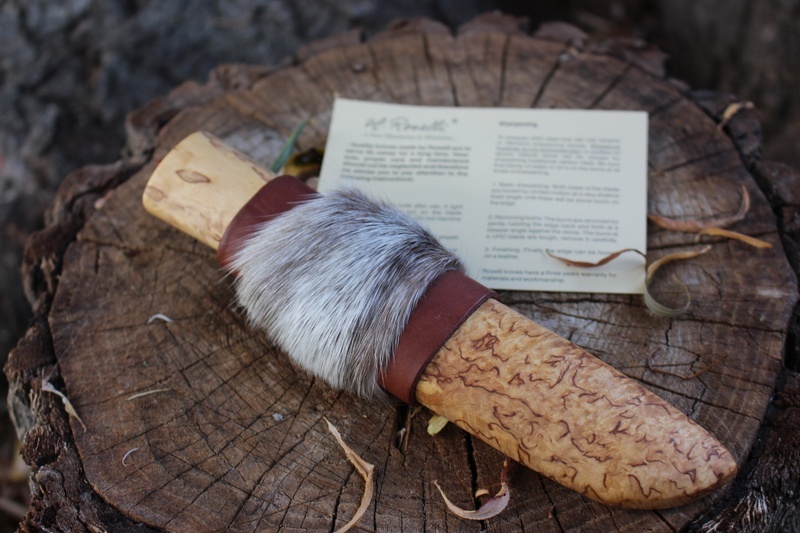 The sheath is sold piece of Curly birch, hollowed out to accept the knife and wrapped with a piece of reindeer hide and with a leather dangler loop (again reindeer). ***The Curly birch used is local Finnish and has great figure in it, lots of 'Flame and sparks' as I call it (it seems the best description) and is very high grade. 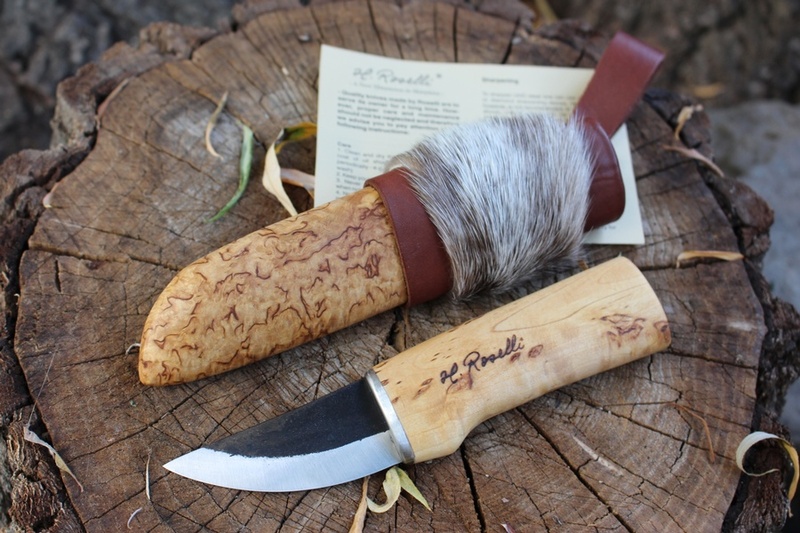 Purchase through PayPal by using the "Add To Cart" button above or use the form below to order the Roselli Compact Outdoor knife . Feel free to contact us if you have any questions about the Roselli Compact Outdoor knife .